Karnataka Institute of Cricket inaugurated its world class cricket training campus at RBANMS Ground, Ulsoor, Bangalore. 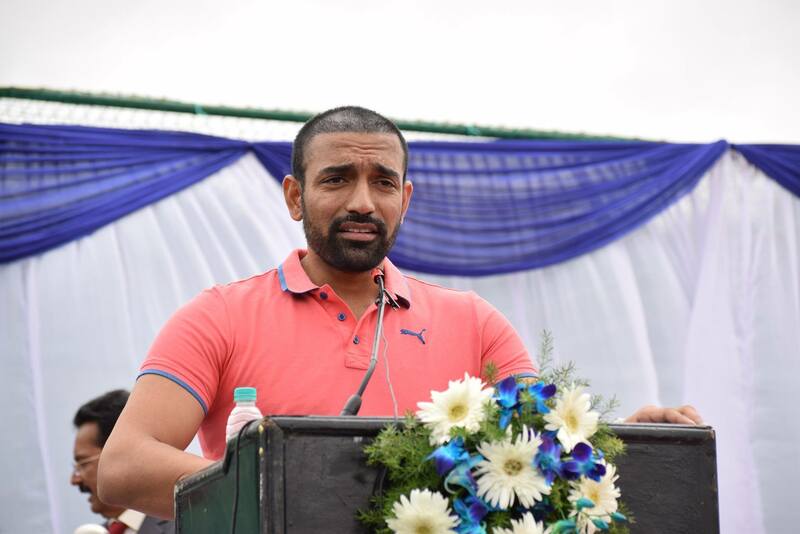 Many cricket celebrities including Indian women’s team skipper Mithali Raj, Veda Krishnamurthy, Robin Uthappa, C.M. Gautam, Nooshin Al Khadeer, Karuna Jain, and V.R. Vanitha, graced the event. Karnataka State Cricket Association assistant secretary (Cricket) Santosh Menon was also present. KIOC new practice area is full of green and gets new facilities include two indoor nets, 32 outdoor nets, fielding practice areas, consultation rooms, a gymnasium, sports psychology and more. The renovated campus aims to provide world-class cricket training to young cricketers. “I may not be a regular person to the academy, but each time I came here I always enjoyed the professionalism which is in the atmosphere, positivity, and the academy runs with so much of discipline,” Mithali said. India all-rounder Veda Krishnamurthi remembered those days when she started playing cricket at KIOC. “I want all of you to make the best use of this facility. Believe in yourself, work hard, and don’t ever get discouraged by people who doubt your ambitions,” Robin Uthappa said. New facility’s admission is open and interested cricketers can contact the KIOC office for more information.